Edmond Tree, has become Edmond's choice for the best tree service in Edmond OK! We are proud of the growth that is occurred in this past year and the level of trust that has been placed in us by the citizens of our city! 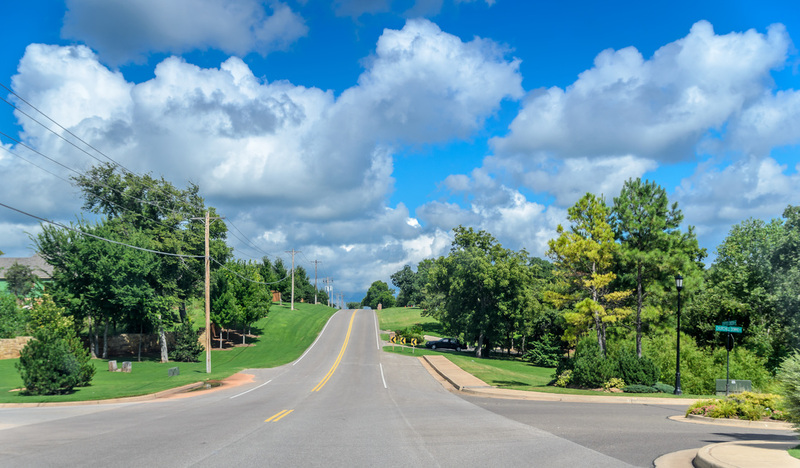 If you are looking for an Edmond tree service close to home, we are conveniently located in the center of Edmond for quick dispatching to all parts of our city. Call us at 405-562-5725! "The Best Tree Care Service in Edmond!" 1) We know you need help! We know that this isn’t a popularity contest. You have come looking for Edmond’s Best Tree Care Specialists because you need help for your beloved shade deliverers, or the unsightly, dying tree that is beyond saving and now needs to be put out of its misery! We are here to help! Caring for your trees is what we do, and we do it well. You found us because you are looking for help with your trees. Being that we specialize in tree service in Edmond OK and all other surrounding others, we would say that you've come to the right place! Good tree care in Edmond is what you want and that is exactly what you're going to get from this Edmond tree service. There are so many reasons you may be looking for the Best Tree Service in Edmond! We can help you with all of them. Some of the many services we offer are listed below. What is important is that you remember we are here to serve you and your family. None of these services matter if the company you hire doesn’t put your interests first! Our commitment to you is that no matter what helpful tree service you hire us for, we will keep your best interests at heart, provide safety for your family, property, and our workers, and won’t leave until the job is done to your satisfaction or arrangements have been made to do so. With that having been said, if you can’t find what you’re looking for in this list, call us today with your request at 405-562-5725! Edmond Tree is committed to giving you timely service. We know what it feels like to be put on the back burner, and we don’t like it either! Our local, knowledgable arborists make a diligent effort to give all of our clients immediate attention. However, from time to time, being that there are so many well shaded, tree covered properties in town, with any of the Edmond tree service companies, we will get lots of service calls around the same time, and not have enough crews to meet the immediate demand. Rest assured, at Edmond Tree, YOU AND YOUR TREES ARE IMPORTANT to us! We will work you in as quickly as possible! 4) Same Day Service? Why, Yes! Are you needing same day emergency service? We provide Emergency Tree Care Service as well! We understand that your job doesn’t wait - even when there is a Fallen Tree in your driveway blocking your car! We know that a fallen tree sticking in to your Living Room ceiling can’t stay there long. You are looking for a tree service in Edmond OK to take care of your emergency situation, so give us a call at 405-562-5725. Emergency Service can sometimes cost a bit more, but the peace of mind is worth it. Your house is an investment. But, it is also your HOME. We know that you have spent a lot of time investing your heart, money, time, and energy in to your house, yard, and trees. Anytime that changes are being made to your trees, we know that you require us to be up front about the changes that will take place. We also know that there are details that you might want us to know in taking special care of this or that. Be assured that Edmond Tree will take your interests to heart and give special attention to the things that matter to you most! The Best Tree Care Service in Edmond puts together work crews that are knowledgable, trained, and have ample experience. Our crews have the proper education, certification, and insurance for providing the level of service that you require! Our professionally trained arborists will work with you to put together a tree and shrub maintenance package that will keep your green friends healthy and in good shape all thru the year! With so many companies providing tree service in Edmond OK, it can get kind of confusing on whom to choose! Edmond Tree offers affordable pricing without compromising the quality of our services. Take the first step and give us a call to hear about our competitive pricing that keeps customers turning away from our competitors and into our specialized tree care service! At Edmond Tree, our Tree Experts take SAFETY very seriously. The safety of you, your neighbors, our crew members, and your property is very important to us! Before each job, we take the time to analyze the job and potential problem areas and then take the necessary precautions. That way, before starting work, we have made sure that we have given due diligence and surveyed all possibilities, making sure that everyone and everything is safe and secure. The City of Edmond falls on the western edge of an ecological zone known as the Cross Timbers that runs primarily from Central Texas thru the heart of Oklahoma and into southeastern Kansas. This formidable forested area is known primarily for its blackjack oak and post oak. Citizens of Edmond know the vast difference between the east and west sides of our city in terms of tree growth and population. The east side is covered in thick forestation, whereas our farthest west side is sparsely covered. Edmond Tree is the #1 service for professional Tree Removal, Tree Trimming, and Tree Service in Edmond OK in general. Our goal is to leave you 100% satisfied with the job that we do. We strive to make sure that the job is done right the first time, and that we do it in a safe and efficient manner for your family, property and our crew members. We are careful to remove all tree trimming debris and leave your property better than how we found it. Give EDMOND TREE a call today at 405-562-5725 to ask us how we can come out and assist you!